The heart stays pretty long so preserved, a good 8 hours I'd mean. I've been in his possession a long time. Chimaera, the scent so hard to describe. The scent of an elemental force within itself and its complexity to guess is very difficult and challenging for untrained, but also very experienced noses. For a very long time I have been playing with the idea of writing a commentary that only halfway does justice to this perfume and gives an impression of what you are dealing with here. Let's give it a try with the following scenario! One goes for a walk on a volcanic beach along a Mediterranean coast. Everything looks black and dull on the beach until suddenly something in the sun attracts attention. A fist-sized piece of lava that is completely different from the others irideszes in the sun, because it is semitransparent and consists only partially of molten lava, but also of amber resins. If you hold it in the sun, you can see many inclusions in it. But what makes it most unusual is the fact that it smells. This only piece has everything what it still as glow-hot magma has rolled over absorbed and olfactorically preserved as by a miracle. It smells of citric sage and various Mediterranean herbs such as thyme, bitter bay leaf and various spicy pepper varieties. Mineral notes are recognizable as dusty hot sand heated by the sun. Herber and dark honey blends with flowery nuances of waxy soft magnolia and bitter-tart saffron. Balsamic resins pour out accompanied by cistus roses and creamy-butyriger benzoin. Patchouli in earthy chocolaty tones flashes, everything is fogged with smoky tobacco incense notes and powdery soft cashmere wood. And finally wrapped in a leathery satin layer of golden glittering caramel. 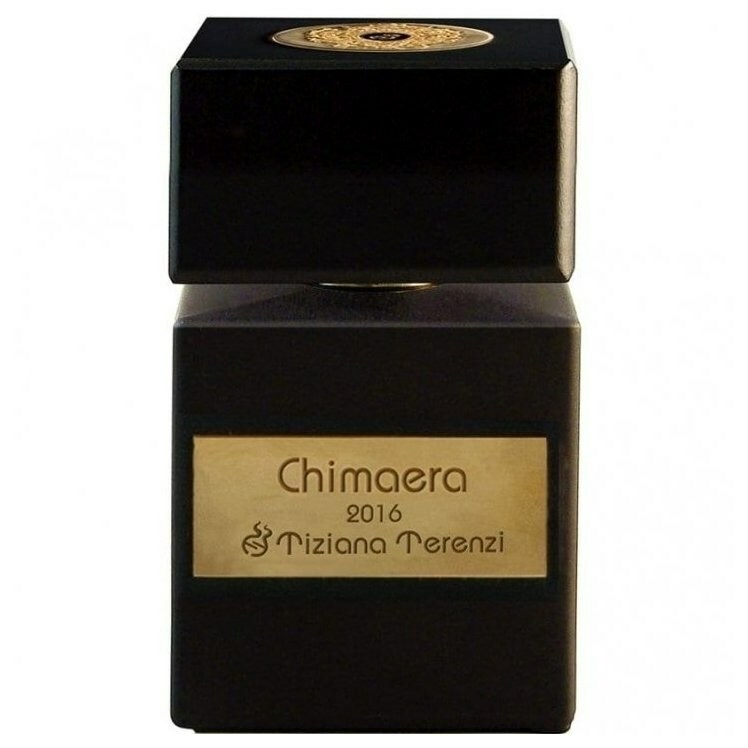 Chimaera is like a fossil piece of lava that has been found on a Mediterranean coast and seems to live inside and that overwhelms you with its multitude of olfactory wonders. Deciphering this scent is not easy because the scent is highly complex and opulent. Chimaera is really like a chimera or a mirage, because you always perceive something different, but never smell anything specific. A legion of notes trapped in a core.spices, flowers, resins and woods sink into the smoky charred caramel and are bound in it until only a fragrant sound emerges.a continuous, constant, olfactory metamorphosis.an interplay of scents and impressions.it fits perfectly into the winter season but it also does very well in a warm summer night or on holiday on tanned skin. Even there he is very changeable and changeable. I wear it myself or let's say "bear" it more in my private life, because it calms me down very much and almost dominates me. He's literally forcing me to let go. I've given up understanding him for a long time. Chimaera is not to be controlled and understood, but this fact makes him so incredibly beautiful and mysterious! Consistency is the chimera of love. Write the first Review for Chimaera!